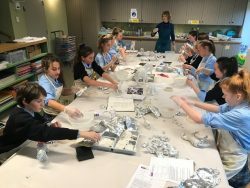 The DaVinci Club had a fantastic tour of the Watts Gallery last week, culminating in a thoroughly enjoyable sculpture workshop on the theme of George Watt’s best-known work, “Physical Energy”. 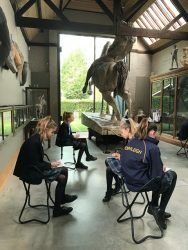 They learnt about Watt’s humanitarian approach to the plight of the Victorian common man as well as discovering how a busy artist’s studio runs on a day-to-day basis. The trip comes at the end of a year of hard work preparing portfolios for Art scholarship and seems a rewarding way to celebrate all of their hard work.